Super old sketchbook I found. I obviously like dinos ans birds and other things. Well learned plenty from this number. Its not tight but its kind of cute. Ill just have to reinvent it later. Its a nice trail run though. Havent been painting lately. 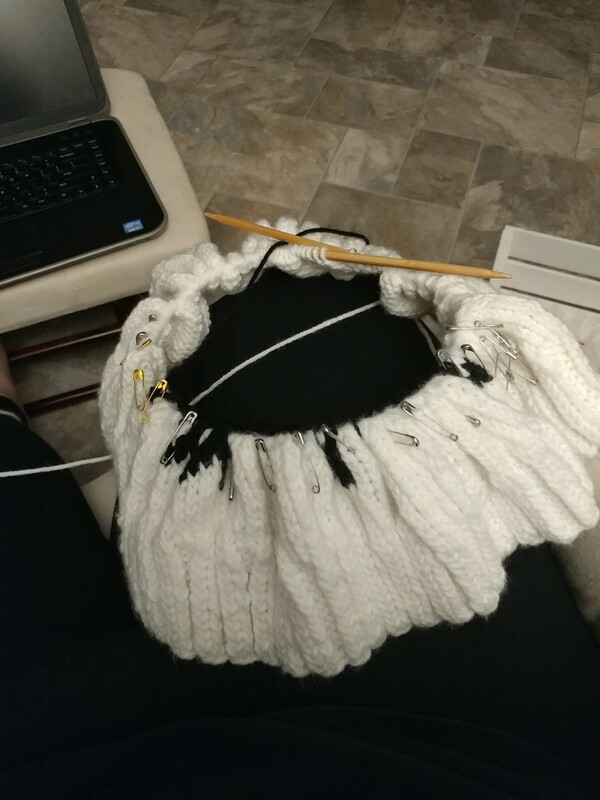 Learning how to make a sweater. Its been difficult. 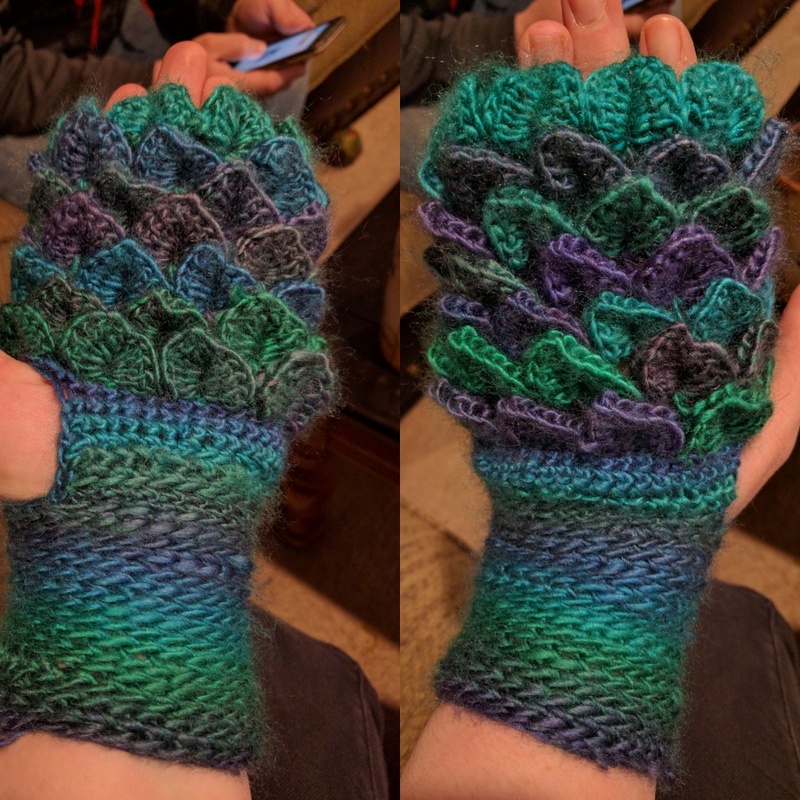 So, I really wanted to learn how to make gloves and when I first saw the dragon scale gloves I fell in love . 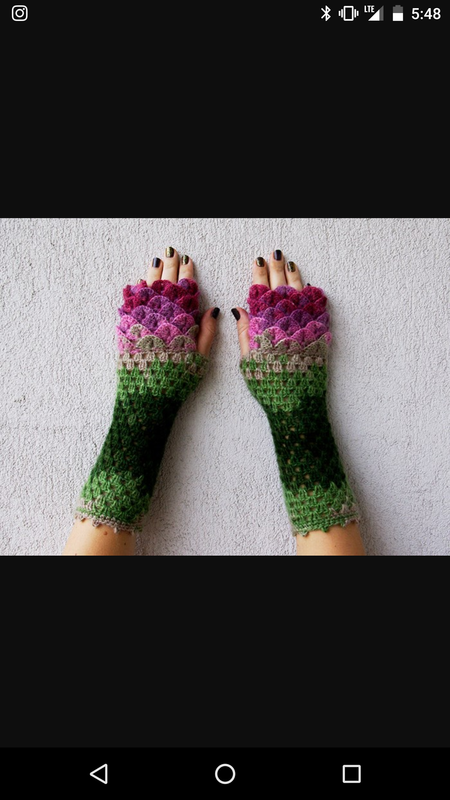 Ignore the lovely screenshot but here is one of the first images I saw when I was looking up gloves. This link gives you a free pattern and links to the patterns for purchase. 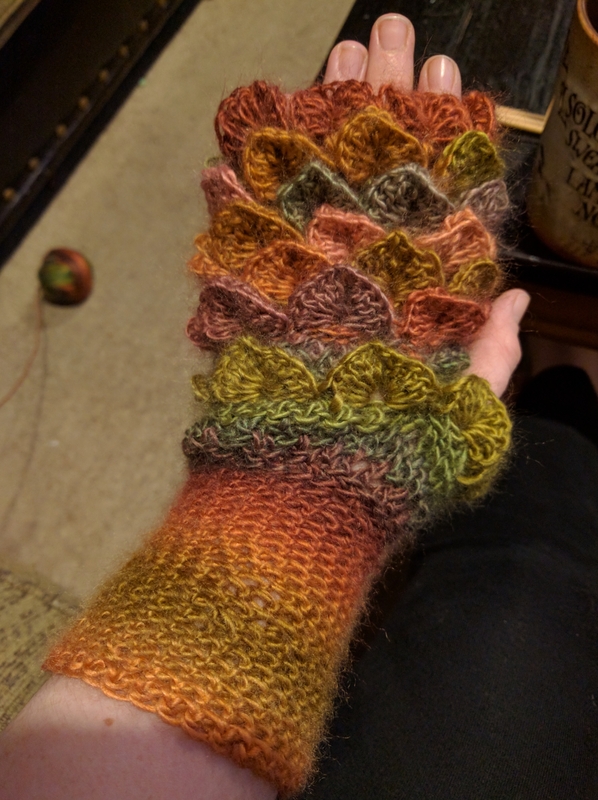 Because I’m on a budget and want yarn money I didn’t but this pattern and attempted to create these gloves anyways. Yeah, it’s good. But it has some problems. That I think I’m working out. Getting there!!! Very excited I figured it out! Hello quick Christmas presents. Still a few things to work out but hey they are starting to look good. 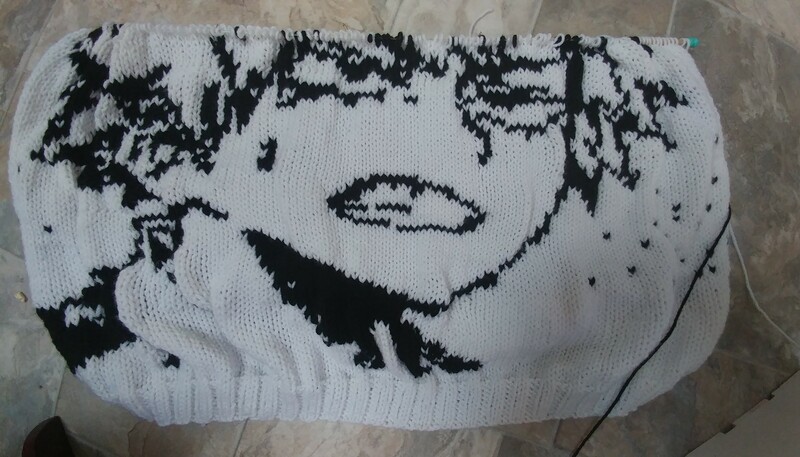 Not as good at the patterns for sale but I like it.